Phoenix Inspirations: Making a Scene. 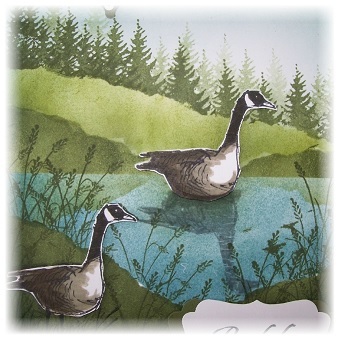 Today I have a card to share with you that I made for a rather special friend. This friend was extremely kind and helpful at the the time my dad died so he deserved a very special card. One of my favourite techniques is sponging over torn copy paper, post it notes and masks and this card uses all those. 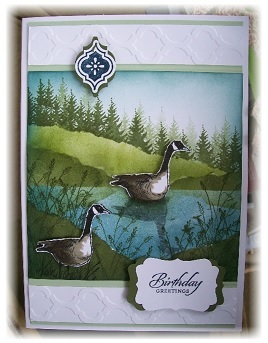 Stamps used - Stampin' Up Wetlands and the background trees are one I made myself - I stamped the trees many times before re-inking to create a bit of perspective.